Our Luxury Limousines/Vans are all in genuine leather for your comfort. 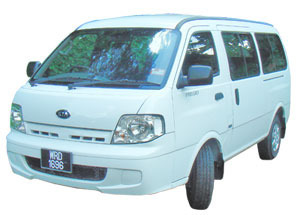 Up to 6 passengers can be accommodated per van. For a Van with the capacity of 6 passengers. The passengers are counted by head disregarding the age.